After Yangon, Inle Lake and Bagan, with this guide I’ll bring you to Mandalay and Myanmar’s ancient capitals: Amarapura and Sagaing. 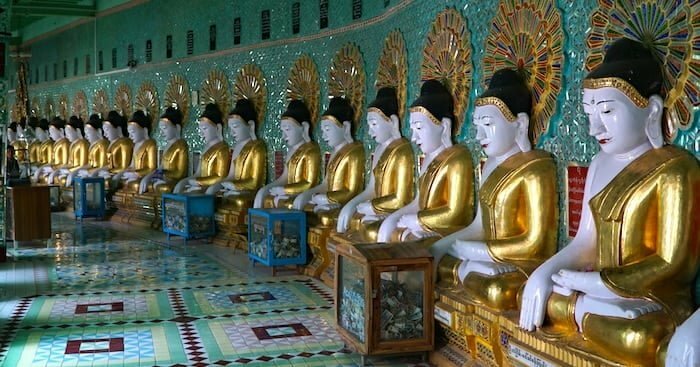 Mandalay was the capital of Burma until 1885, when the English arrived and there was a decline of the Konbaung dynasty. The city is a grid of streets, and summarizes the country’s change in the modern era. In fact, on one hand you’ll find buildings of historic value, including the royal palace and the Mahamuni Pagoda, and on the other you can find new buildings, the international airport and other modern buildings that “clash” with rural areas around it (here you’ll find my article on trekking at Inle Lake). The city is known for its craftsmanship and the production of marionettes and wood, bronze and marble objects. Thanks to its strategic position along the Irrawaddy River, and its vicinity to China, Mandalay became an important center of trade. 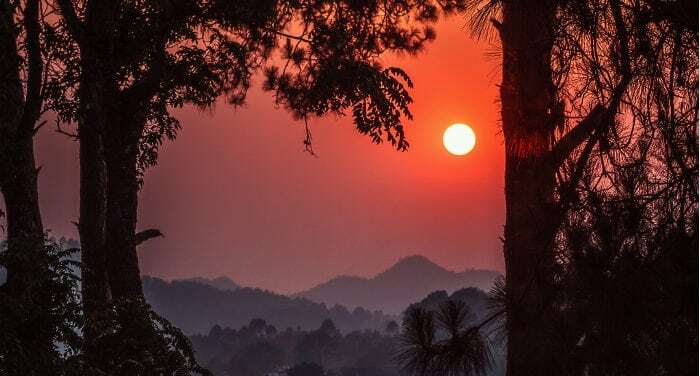 Myanmar is a country that has never come out from dictatorship, but still resists and maintains that spiritual and mystic aura that I haven’t found in nearby territories that I’ve explored. 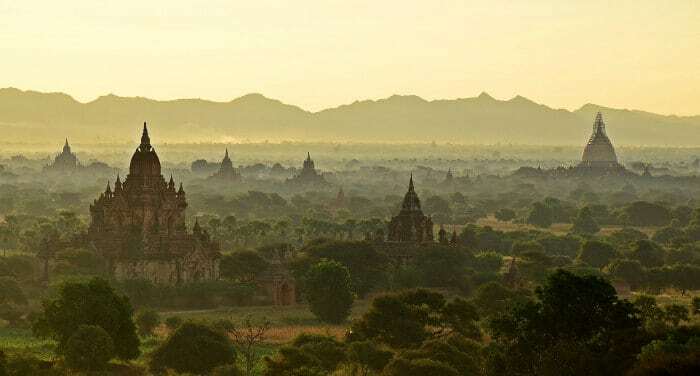 If there’s a place in ex Burma that transmits that sensation, it’s Bagan, the ancient kingdom of Pagan, the largest concentration of sacred buildings in the world: more than 2,000 Buddhist temples, stupas, and pagodas. Myanmar has a rather new tourism industry and has only opened to travelers to in recent years. Because of this, there are still unexplored parts, authentic but still very undeveloped; much is due to the military dictatorship that kept the country closed and even today you can’t access certain regions without permission from the Ministry of Tourism. That said, the following guide will bring you to known and explored places that are just as unmissable and fascinating. After visiting Yangon, I recommend you take a train for Kalaw, spending a day in this peaceful mountain village, then go on foot by trekking 60 km, more or less, to Inle Lake. From Yangon you can take a night train leaving at 21:00, heading to the capital Naypyidaw, where you’ll arrive at 6 in the morning, after 9 hours of traveling on a train that’s rather folkloric. From the capital you’ll take another train to get to Thazi in 3 hours. With its 5 million inhabitants, Yangon is Myanmar’s biggest city, but not its capital, (which in 2005 was moved to Naypyidaw). Yangon is also the arrival point for the majority of tourists, being well connected with the majority of major international airports. Although it isn’t the capital, the city has all the characteristics of being one: banks and businesses, modern and dilapidated skyscrapers, colonial buildings, traffic, a mix of religions and cultures, numerous Buddhist pagodas, Hindu temples, mosques and churches, an enormous China Town, markets and street food that will confuse you from the start. I recommend that you stay in the city for at least two nights: that’s the amount of time that is necessary to get to know the neighborhoods, each with its own characteristics; you can then taste its colonial past, Indian, Muslim, Chinese, British-style buildings, shining stupas and other attractions you’ll discover by reading this article and walking alone through the city in its chaotic traffic. How to get to Yangon? Yangon has an international airport, as I said, that is well connected to the major airports of the surrounding countries, but not just those. If you’re already in Myanmar, you might have to fly from Mandalay on a domestic flight on AirAsia or for about 12,000 Kyat (the local currency) you could try the experience of taking a night train (about 15 hours), seated on one of the uncomfortable but manageable cushions, that will bring you directly from Mandalay to Yangon. If you’re planning a trip to Myanmar, remember to find out about visa requirements. In fact, unlike other countries in Southeast Asia (where for brief stays you won’t need a visa at times), if you’re planning a stay, whether it be for work or tourism, in ex Burma you’ll need to apply for a visa ahead of time. 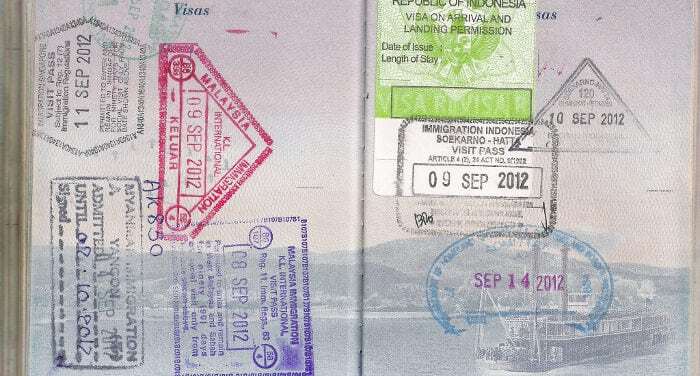 Only with a passport from one of the eight nearby countries, (which you’ll find on this page), can you freely enter the country for 14 or 30 days, without needing to apply for a visa. 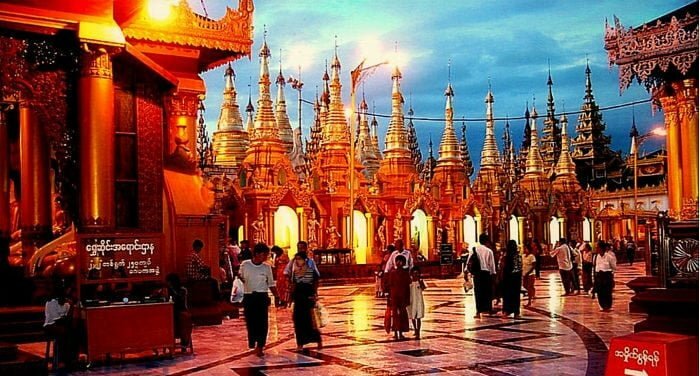 What is required for a Burmese visa? As I said, Myanmar is the only country in Southeast Asia to require a mandatory visa as soon as you enter. This is also due to the recent opening of the country to tourism, late compared to the others, which are already ahead in the “Westernization” process. In this section of the article I will explain in detail the online procedure, where you can apply for two types of visas. In the event you have to go to the Embassy, the procedure is similar (but in this case you can apply for all types of visas). Burma isn’t doing all that well. I hope with all my heart that things will go better after these recent political changes, that the situation will be resolved in a positively democratic form. A trip to Burma will necessarily bring you face to face with the poverty of Southeast Asia, although Burma is a country that’s rich in its own way, where it is rather the poor distribution of riches and interests of the few have created an incredible social inequity. That notwithstanding, Burma – or Myanmar if you prefer to call it by its recent name arbitrarily forced upon it by the ruling military power, – it is one of the happiest countries that I’ve ever visited! 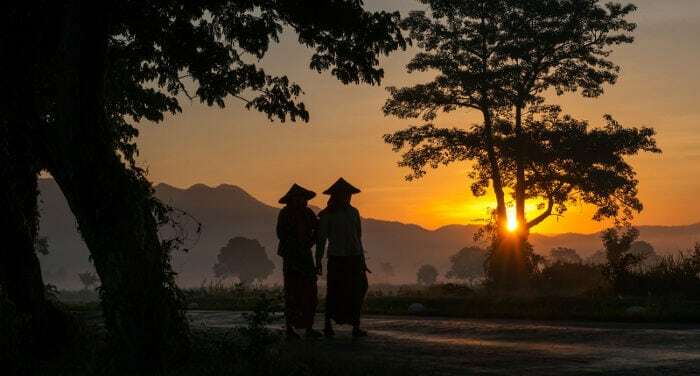 Here’s all the information you’ll need to take on a trip to Burma, Myanmar: here we will refer to it as Burma, just as the locals call it, being a bit adverse to the recent name forced on it by the military junta in power. We’ll cover visas, travel insurance, security, transportation, hotels, internet and telephone; together with a bunch of advice for best planning your trip and avoid running into problems. If you want to visit Burma you’ll need a visa. Also, if you move for work or other necessary reasons to a controlled access zone, you’ll also need a special permit.